The discussion that follows is not intended to dissuade licensees from providing supervision – rather, it is intended to make sure that supervisors are adequately informed and prepared (and compensated where lawful and appropriate) for the responsibilities that they undertake and the potential liability that they may incur. 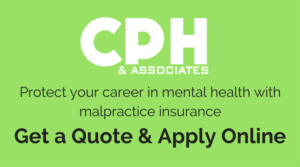 Licensed mental health practitioners who decide to hire and supervise pre-licensed persons, or who act as supervisors (but not employers) of pre-licensed persons, should fully understand their responsibilities and their potential liability or vulnerability, both civil and administrative. While providing supervision is a necessity for the continued growth and vitality of the various mental health professions, it should not be undertaken lightly, and careful thought should be given before any decision is made to hire or supervise pre-licensed persons. A prospective patient may be declined service and referred elsewhere; so too with respect to a prospective supervisee. As states and licensing boards pass more laws and regulations that specify the qualifications, duties and responsibilities of supervisors, those who fail to comply, including those who think that they have complied, may be subjected to unexpected vulnerability or liability. Fundamental to supervision are the laws and regulations that specify the qualifications necessary to become a supervisor and the amount and kind of supervised experience that is required for licensure. Both pre-licensed persons and licensees who supervise must be aware of these requirements for a number of reasons, not the least of which is the assurance that the hours of experience supervised will count toward licensure and will not be disallowed because of some technicality related to, among other things, the supervisor’s qualifications or the amount or kinds of hours of experience gained. The potential liability of a supervisor is not limited to civil lawsuits seeking monetary damages and alleging, among other things, negligent supervision or other wrongful conduct, but it includes administrative vulnerability – that is, enforcement action by the state licensing board related to an alleged violation of one or more of the duties and responsibilities of supervisors. Complaints to the licensing board against licensees who are supervising pre-licensed persons are by no means rare. Some of these complaints come from the person being supervised. For example, when a supervisor refuses to sign for hours of experience gained by the supervisee because of concerns about the supervisee’s competency, the supervisee sometimes files a complaint with the board alleging some kind of wrongful conduct by the supervisor. In cases where a pre-licensed person engages in sexual contact or sexual misconduct (or other unprofessional conduct) with a patient, a complaint to the licensing board about the pre-licensed person’s conduct will often trigger an investigation into the licensee’s failure to properly supervise the supervisee. The board will investigate, among other things, whether the supervisor properly monitored the clinical dynamics, including, but not limited to, counter-transference, interpersonal, or related issues that may have affected the practitioner-patient relationship. The supervisor who is too casual about the supervisorial relationship, or who trusts too much, may well have vulnerability. Licensees who hire pre-licensed persons to work in their private practices (or in non-profit and charitable corporations) must make sure that they exercise adequate control over the activities of the supervisee and do not allow other factors (like the unfettered trust in the integrity of the supervisee) to govern the relationship. Some licensees allow too much autonomy to the supervisee, such as not exercising control over the manner and extent of any advertising or self-promotion that is done by the supervisee. I am aware of cases where the advertisements by pre-licensed persons look like they are promoting their own private practices – and in some cases, they were (an unlawful act)! In such cases, the licensing board will likely take disciplinary action against (or at least investigate) the supervisor. Most licensing laws contain a provision that allows for disciplinary action when a licensee aids or abets, directly or indirectly, an unlicensed person to engage in conduct for which a license is required. Most state licensing laws or regulations will require the supervisor to assure that the person being supervised does not perform services beyond the scope of the supervisee’s competence, as established by the supervisee’s education, training, or experience. A California statute defines “supervision” as the responsibility for, and control of, the quality of mental health and related services provided by the licensee (emphasis mine). The statute requires the supervisor to ensure that the extent, kind, and quality of counseling performed is consistent with the education, training, and experience of the supervisee. It also requires a supervisor to monitor and evaluate the supervisee’s assessment, diagnosis, and treatment decisions and provide regular feedback. These kinds of provisions, and others, demonstrate the significant expectations that the state places upon supervisors. A violation of such statutory requirements by the supervisor can result in disciplinary action by the board or civil liability. When an aggrieved patient’s lawyer discovers that the person providing the treatment was working under supervision in a sole proprietorship private practice, it is routine that the supervisee and the employer/supervisor will be named as defendants. The widely applicable rule is that the employer is liable for the negligence of the employee (vicarious liability). When the supervisor is not the owner of the business (as in a non-profit corporation or a health facility), the supervisor is liable for his or her own negligence in supervising the treating pre-licensed person, but the supervisee’s negligence is generally not imputed to the supervisor. However, state laws vary in fine nuance, and the nature of the wrongdoing, the kind of supervision, and the employment relationship between the supervisor and the nonprofit corporation or health facility (e.g., whether a W-2 employee or an independent contractor), and other factors, may result in vicarious liability – that is – the supervisor being liable for not only his or her own negligence, but for the negligence or other wrongdoing of the supervisee. A patient’s lawyer may of course allege both vicarious and direct liability. A scenario that I have encountered on several occasions (and have previously written about in the Avoiding Liability Bulletin) is where a supervisor discovers during a supervision session that the supervisee has either failed to recognize that child abuse (or some other kind of reportable abuse) has occurred, or that there exists a reasonable suspicion of child abuse that the supervisee has wrongly decided, based upon a variety of factors (e.g., it would be unnecessarily damaging to the family), should not be reported. Sometimes the discovery of a failure to report occurs after the statutory time for reporting has passed. In such situations, the supervisor will be faced with the dilemma of whether to advise or direct the supervisee to make a late report, or whether to make the report himself/herself. For a variety of reasons, not the least of which is because it is required, it has been my view that the supervisor should and must make the required report (which will usually be a timely report for the supervisor). In doing so, the supervisor can perhaps provide a reasonable explanation for the supervisee’s failure to report, thus preventing prosecution of the supervisee. Another unfortunate consequence of some supervisorial relationships occurs when the pre-licensed person decides to leave the private practice or other place of employment. This can occur upon licensure or while the employed supervisee is still in the process of gaining hours of experience. These situations raise the question – who “owns” the patient – because the supervisee may announce that he or she is “taking” the patient with him or her to the new location. While the patient is being treated by the supervisee, the patient is typically not paying the supervisee (because that would likely be unlawful), but is paying the private practitioner or the nonprofit corporation that employs the supervisee. The treatment records belong to the employer – not the supervisee. While patients do not “belong” to anyone, the patient is a patient of the nonprofit corporation or the private practitioner. These disputes often get ugly and can generate lawsuits or complaints, and they can make supervisors rethink their willingness to undertake such a role in the future.